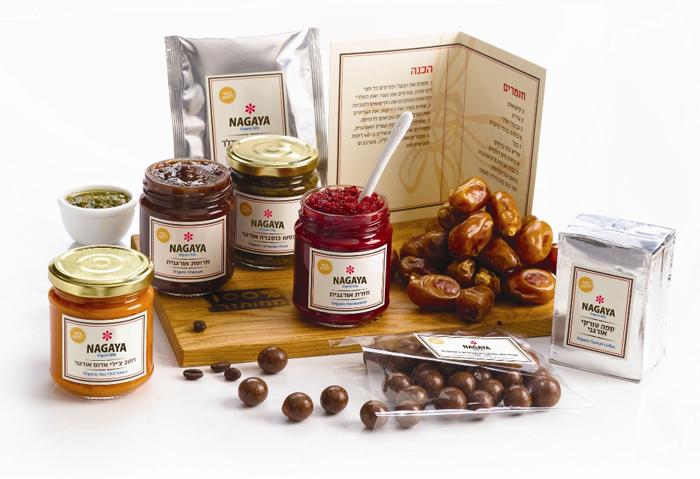 An assortment of organic Seder delicacies for an eco-friendly and socially conscious gift. All products are Kosher for Passover by Chief Rabbinate of Israel. Some items may be Kitniyot. All products are Kosher for Passover by Chief Rabbinate of Israel. Some items may be Kitniyot. For the Receiver: Luxurious, Kosher [some Mehadrin], organic hand grown produce and hand crafted products by the best of Israeli artists are used, all with a strong emphasis on environmentally friendly materials and processes. Quality tastes for a quality life. For the community: Each of Nagaya's products are manufactured and produced in our protected factory and employs the labors of our special needs workforce. These are hard workers with either mental, physical or emotional handicaps, for whom packaging each basket helps with their rehabilitation and provides a source of income. For the environment: Every Nagaya product is organic whose growth or creation betters the earth and its environs. The gift packaging is made from environment friendly recycled carton and is reusable. Any bags used are biodegradable.